Girl Scouting builds girls of courage, confidence and character, who make the world a better place. 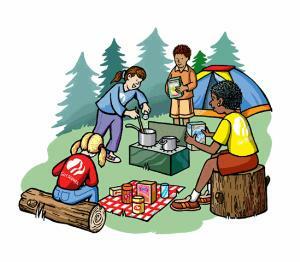 Girl Scouts of Colorado makes it easy, meaningful and fun for girls and volunteers to grow as leaders. This mission, along with the Girl Scout Promise and Law (below) are the foundation of all we do. By saying the Promise, girls are pledging to live by the elements of the Law, and those elements are incorporated into all program activities to bring them to life. 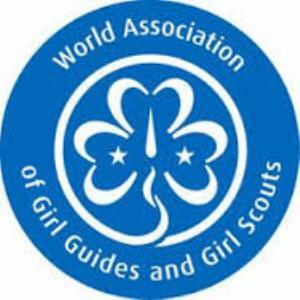 World Association of Girl Guides and Girl Scouts (WAGGGS) is the largest voluntary organization for girls and young women. WAGGGS works with many national, regional and international organizations and alliances to further its mission to enable girls and young women to develop to their fullest potential and become responsible citizens of the world. It has partnered with the United Nations for over 60 years. 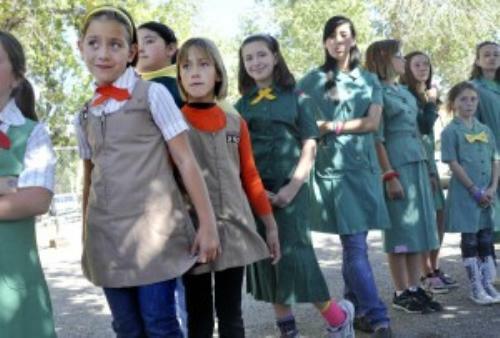 The World Association of Girl Guides and Girl Scouts reaches 10 million girls and young women in 145 countries located in five regions: Africa, Arab, Asia Pacific, Europe and Western Hemisphere. WAGGGS also runs four World Centres: Pax Lodge in London, Our Cabaña in Mexico, Our Chalet in Switzerland and Sangam in India. Visit the "Our World" section of their website to find more information about their member organizations. 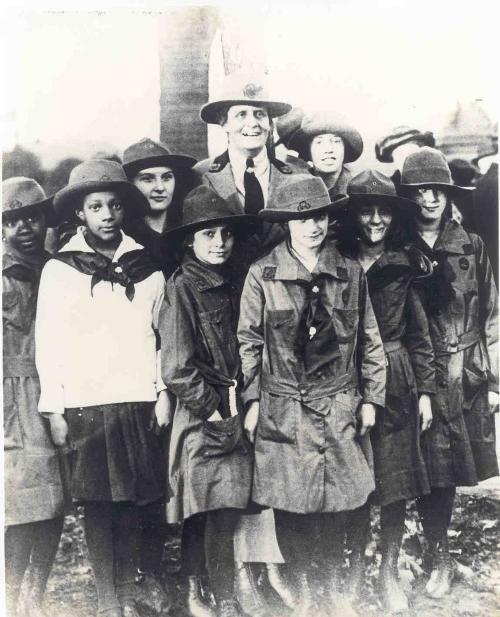 More than one hundred years ago, on March 12, 1912, Juliette Gordon Low, who was nicknamed Daisy, held the first Girl Scout meeting in Savannah, Georgia. The youngest Girls Scouts, those in Kindergarten and First Grade, are called Daisies in her honor. 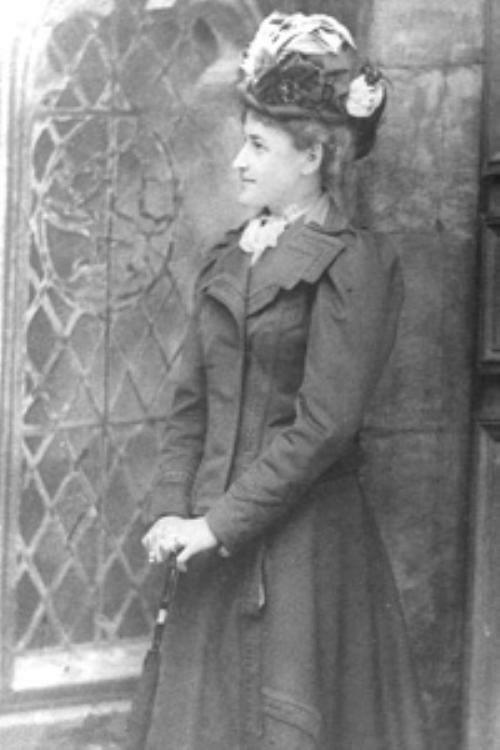 Juliette Gordon was born just before the American Civil War, on October 31, 1860. 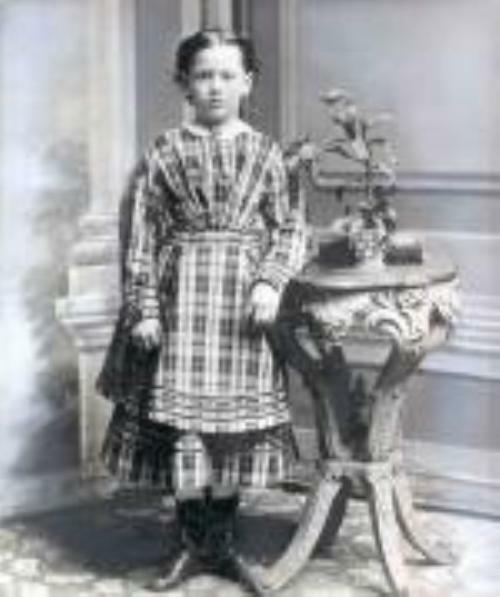 Here is a picture of Daisy Low when she was 10 years old. She married her husband, William Mackay Low when she was 26 years old. This portrait of her was painted at about the time of her marriage. You can see this painting in the National Portrait Gallery in Washington, D.C. 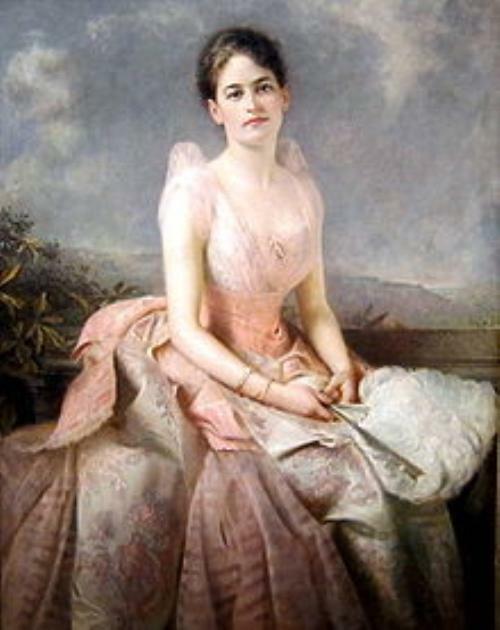 In 1911, when she was 51 years old, Juliette Gordon Low was living in England. 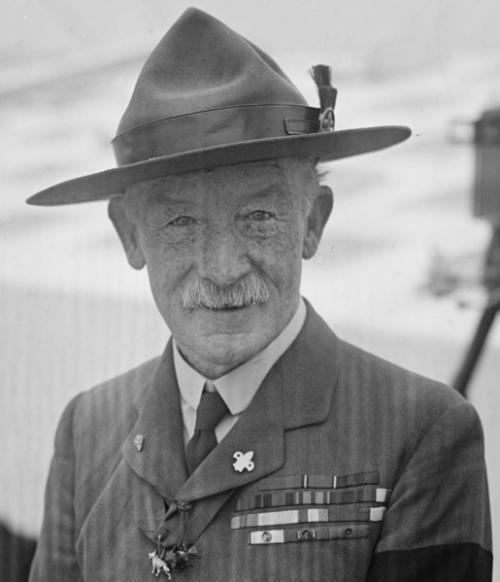 There she met Robert Baden-Powell, who founded the Boy Scouts. 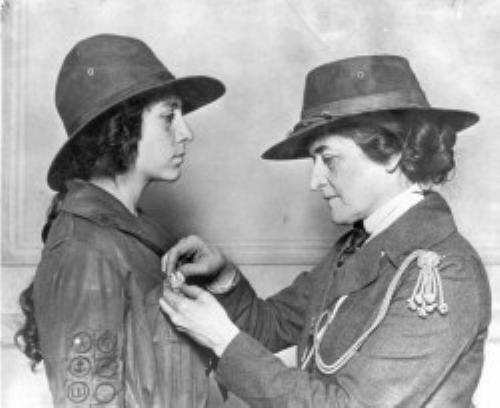 Juliette Gordon Low organized troops in Scotland and England and then decided to bring Girl Scouts (called Girl Guides back then) to America. Here is a picture of Juliette from London, and a picture of Sir Robert Baden-Powell. When Juliette got back to America from England, she telephoned a cousin, saying "Come right over! I've got something for the girls of Savannah, and all of America, and all the world, and we are going to start tonight!" 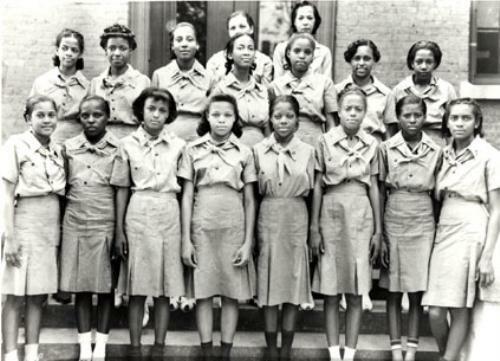 There were only 18 girls at the first meeting - but over the years over 50 million girls and women have been included in Girl Scouts! Many incredible women have been Girls Scouts - and many of them have worked here in D.C. Sandra Day O'Connor, the first woman to sit on the Supreme Court, was a Girl Scout; so was Hillary Rodham Clinton, the recent Secretary of State. The list also includes Senator Patty Murray, Nancy Reagan, Madeleine Albright, and Condoleezza Rice. 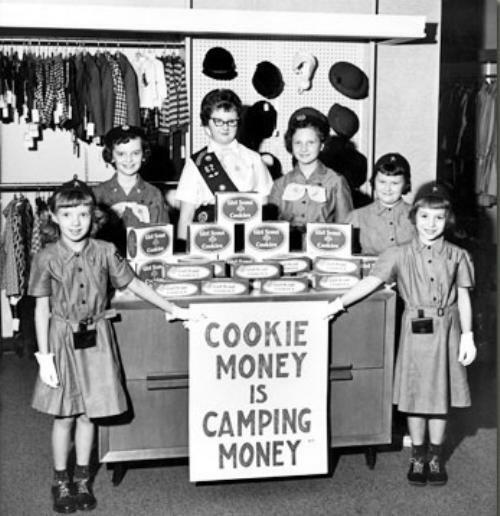 Here are some pictures of Girl Scouts throughout the years. An amazing 80 percent of today’s female leaders listed in Who's Who of American Women in the United States were once Girl Scouts. Below is a partial list! Walters, Barbara – Anchorwoman of ABC "20/20"